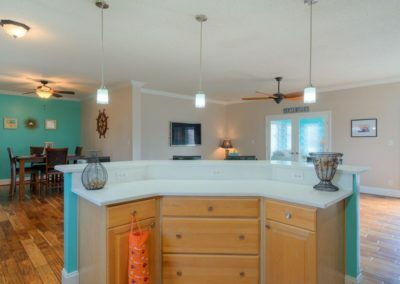 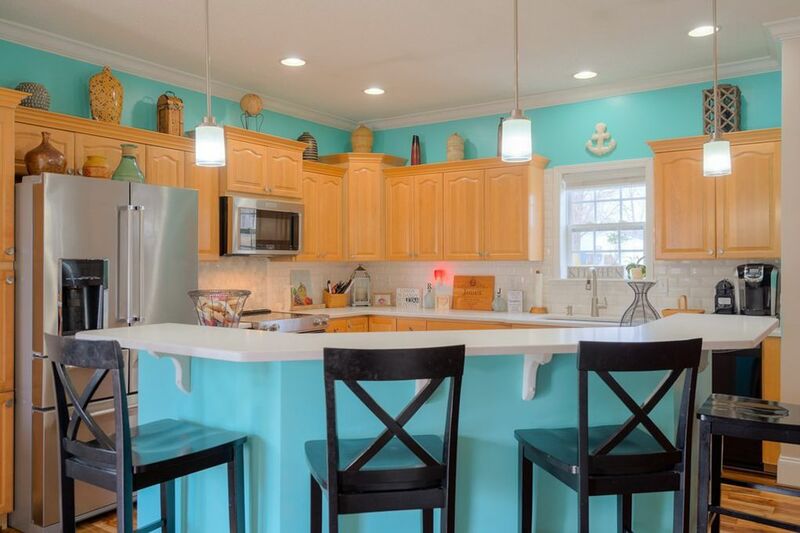 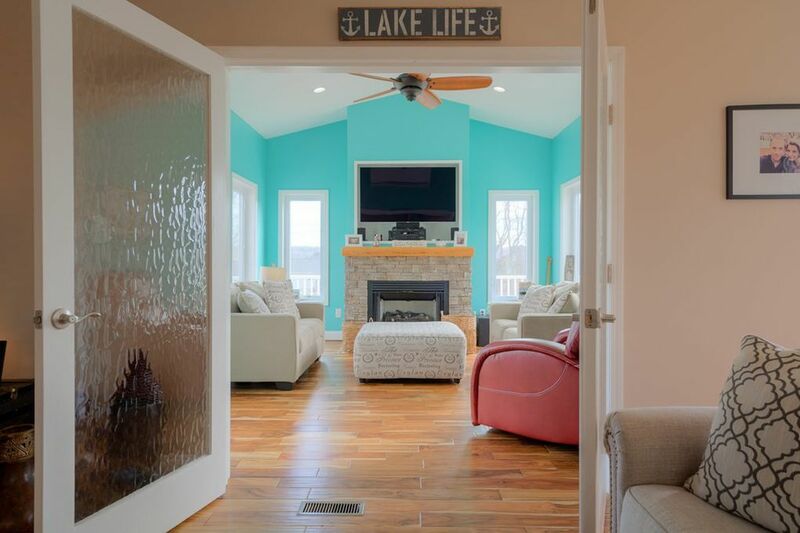 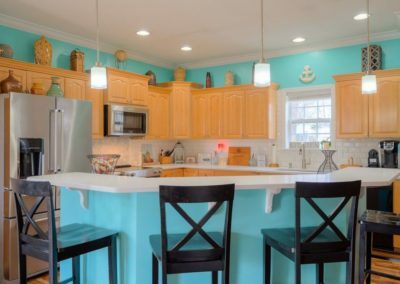 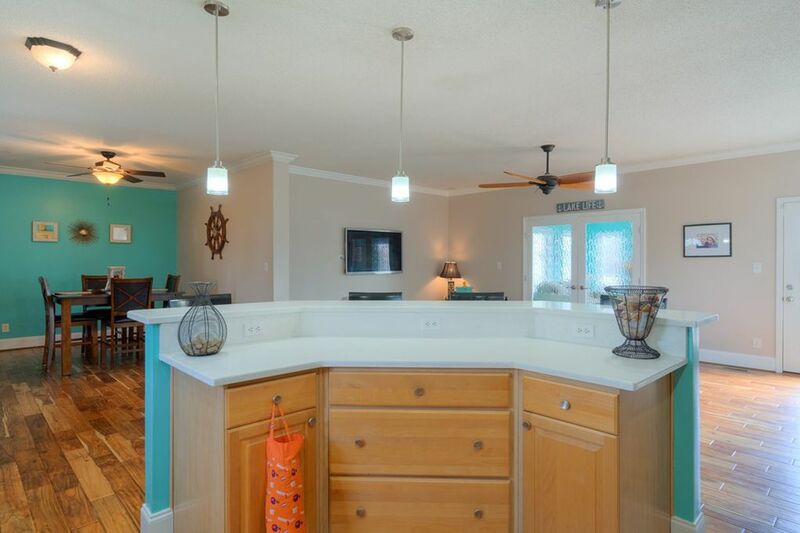 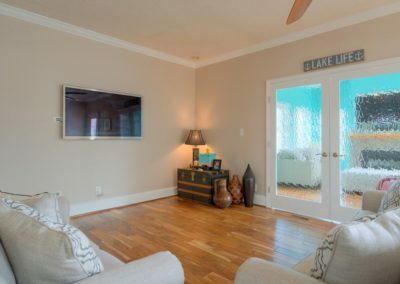 Beautiful home in a lakefront community! 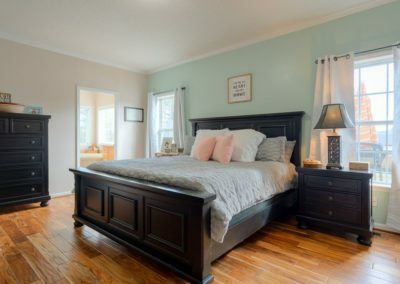 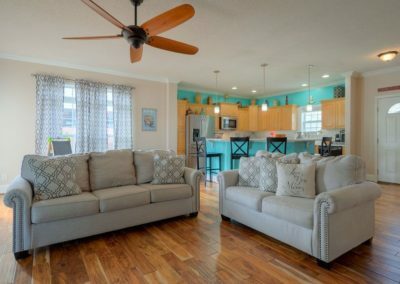 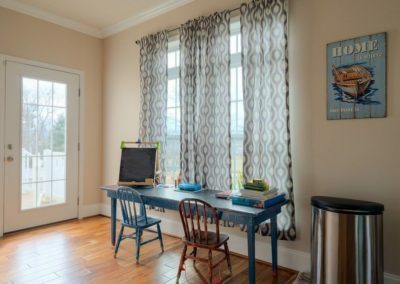 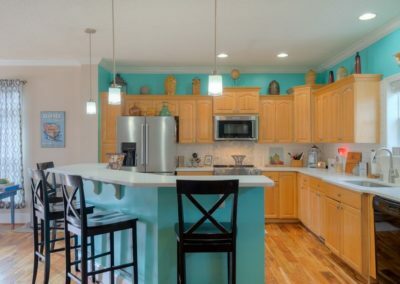 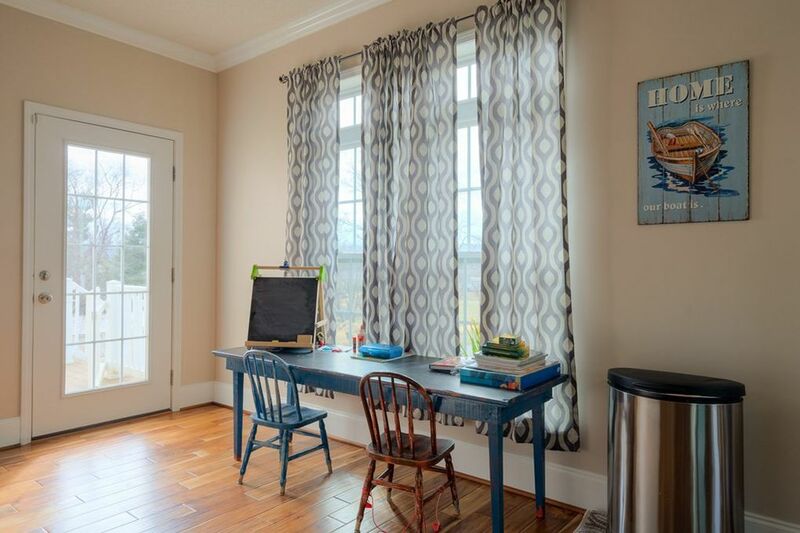 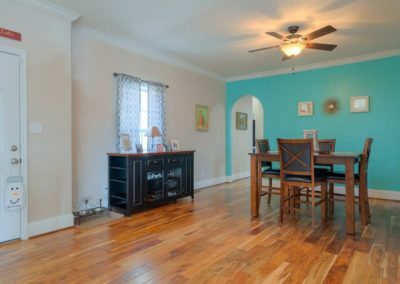 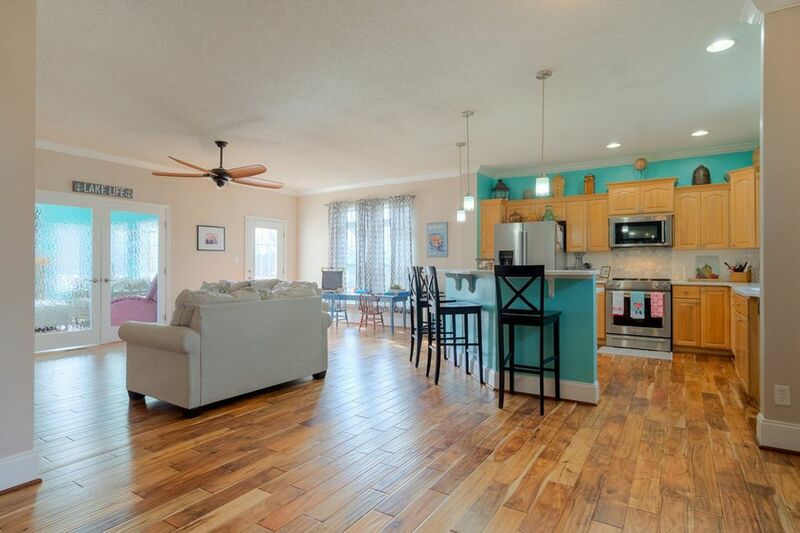 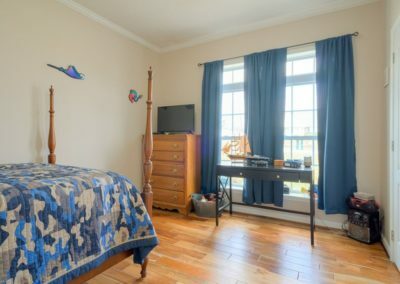 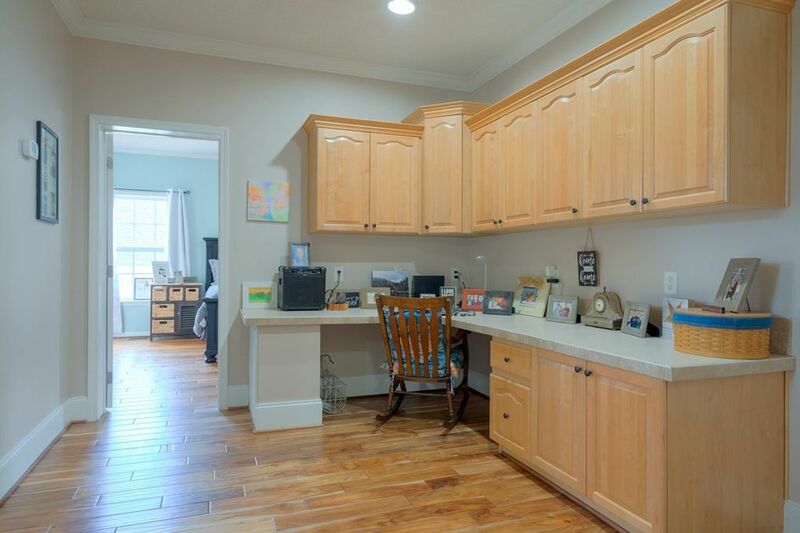 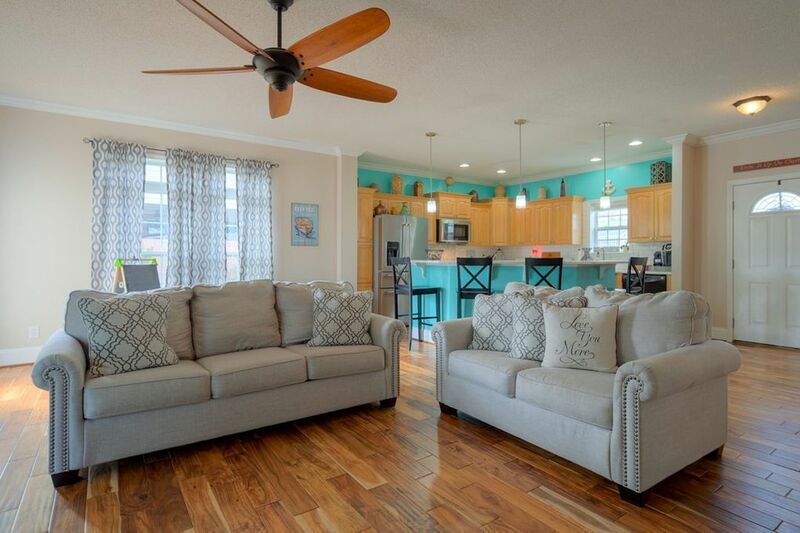 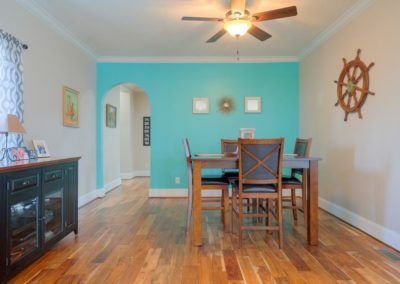 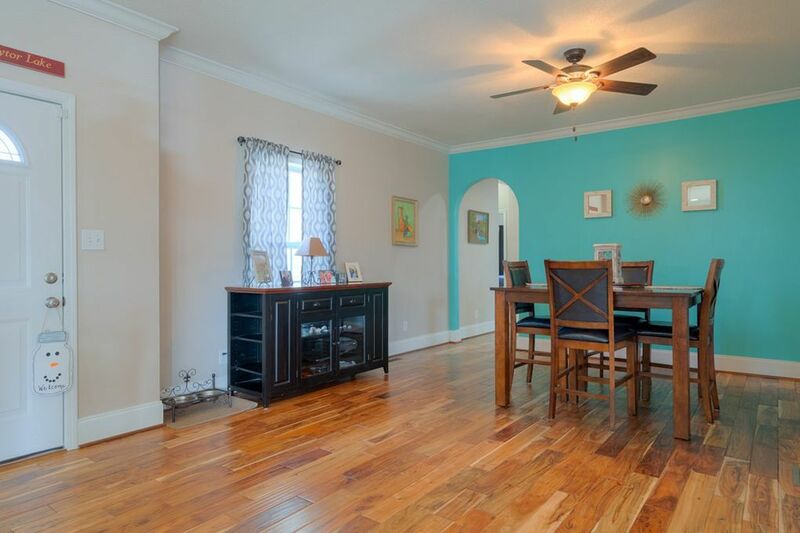 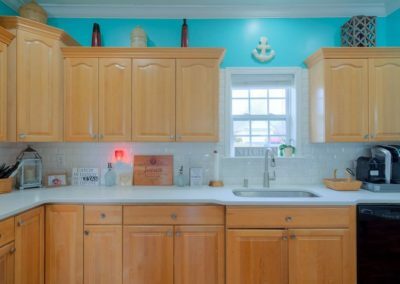 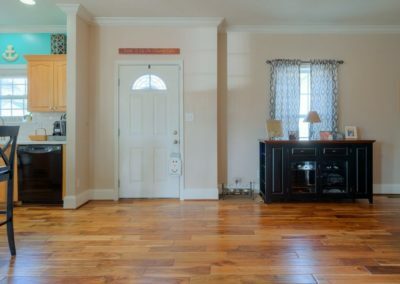 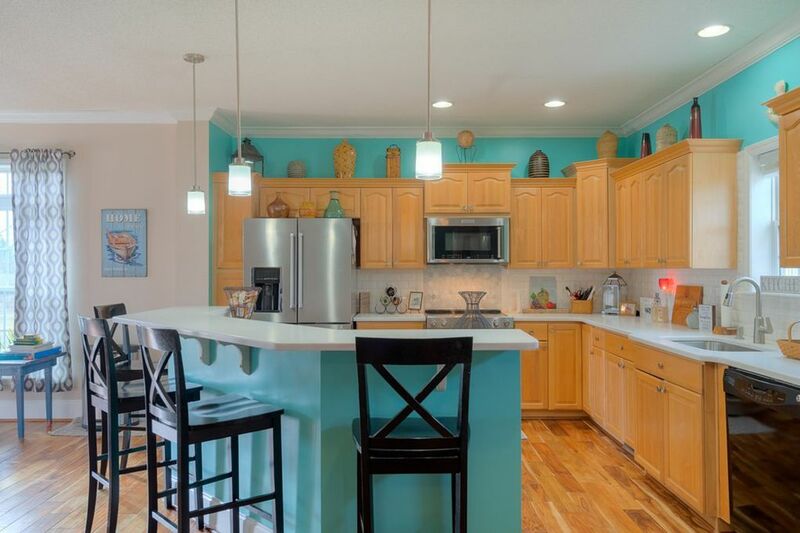 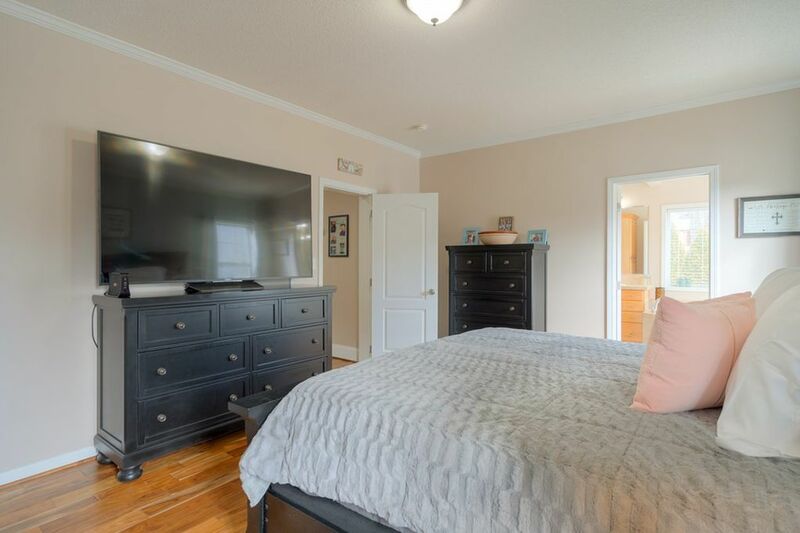 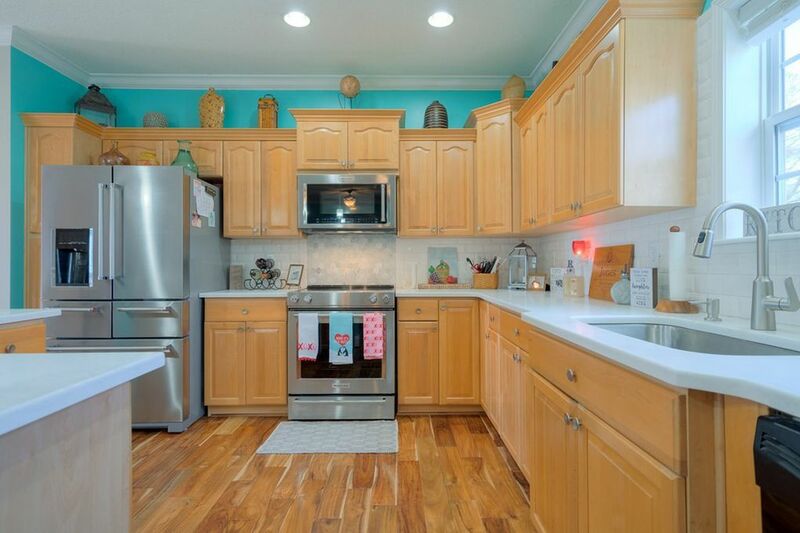 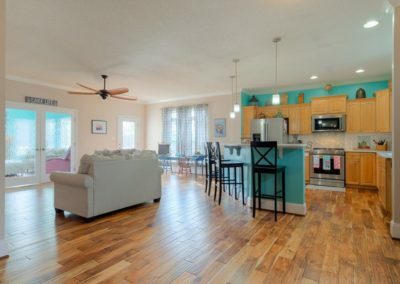 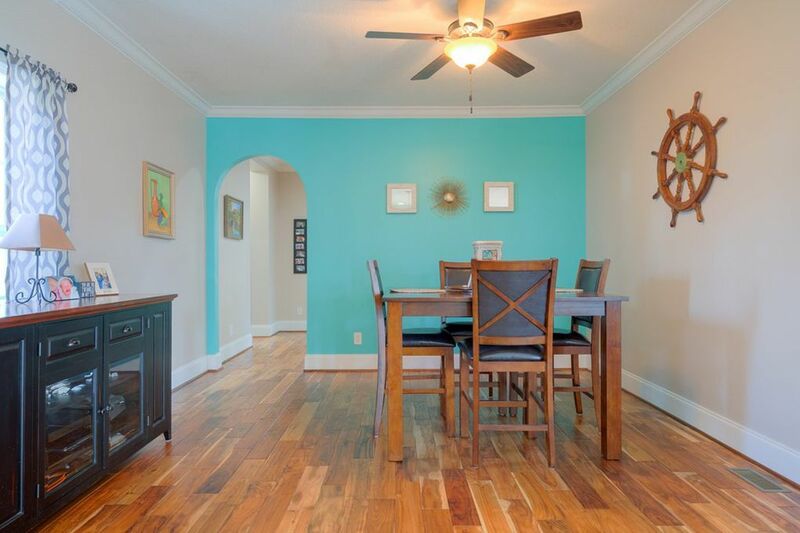 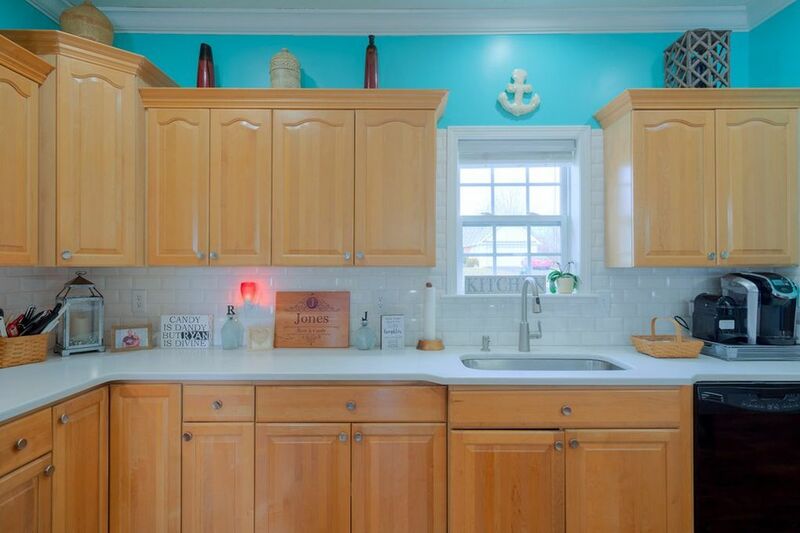 This home has recently been remodeled to include gorgeous hand-hewn hardwood flooring throughout the home. 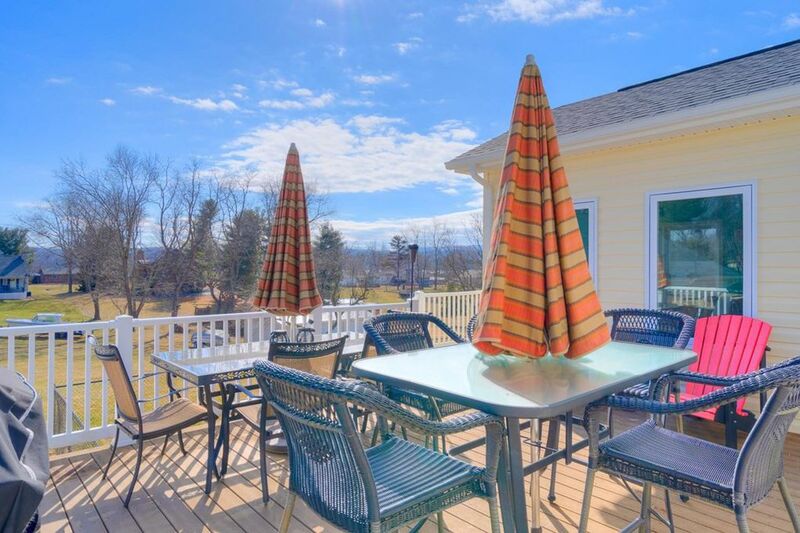 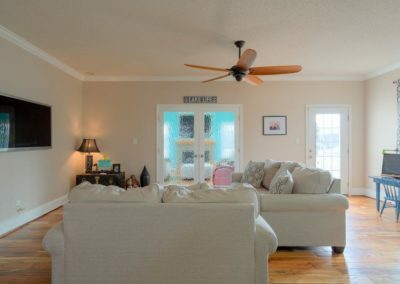 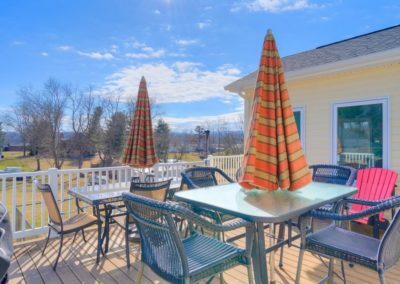 Recent addition of a comfy, beautiful sunroom in the back of the house offers access to the spacious deck. 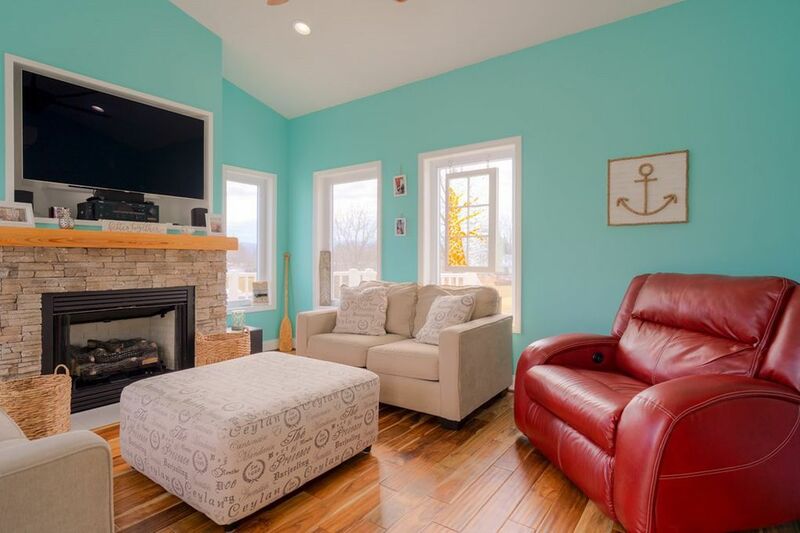 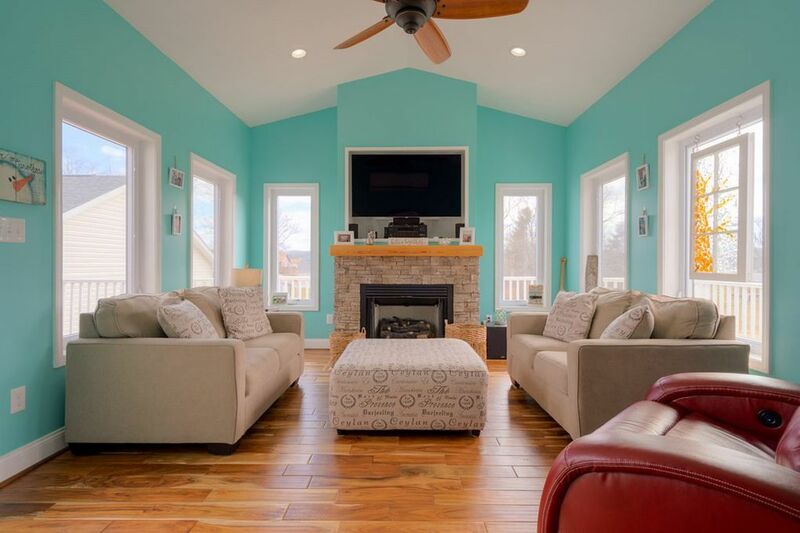 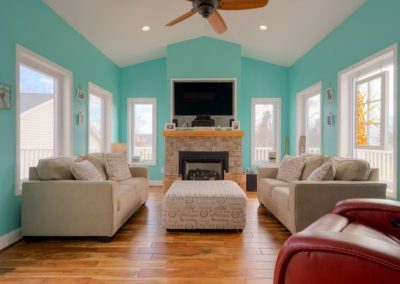 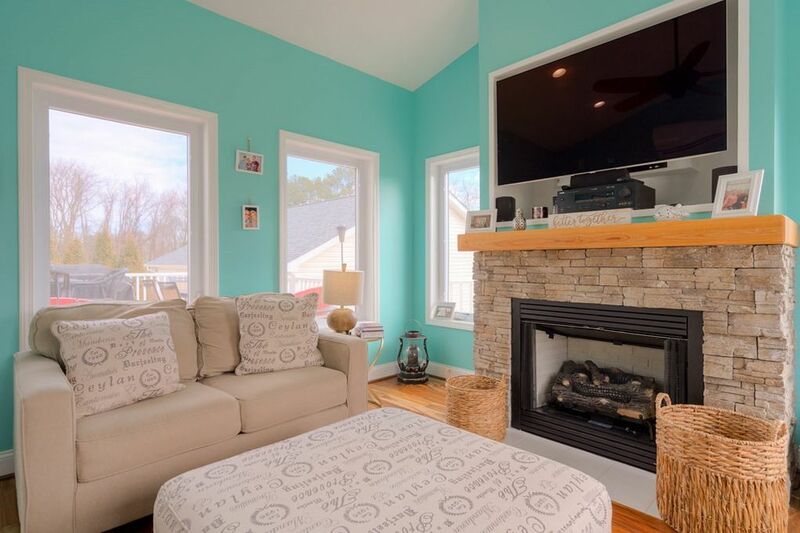 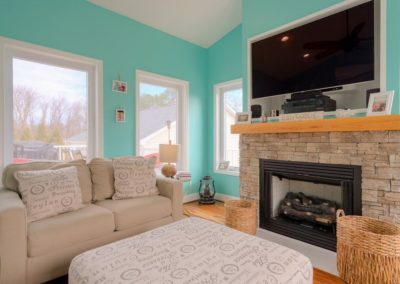 Enjoy the natural lighting streaming through into the sunroom while you sit by a stone gas log fireplace. 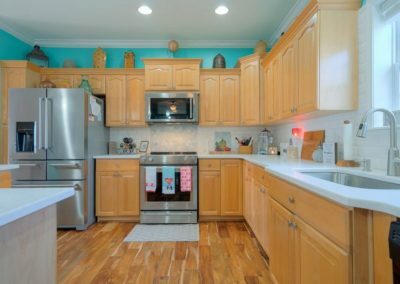 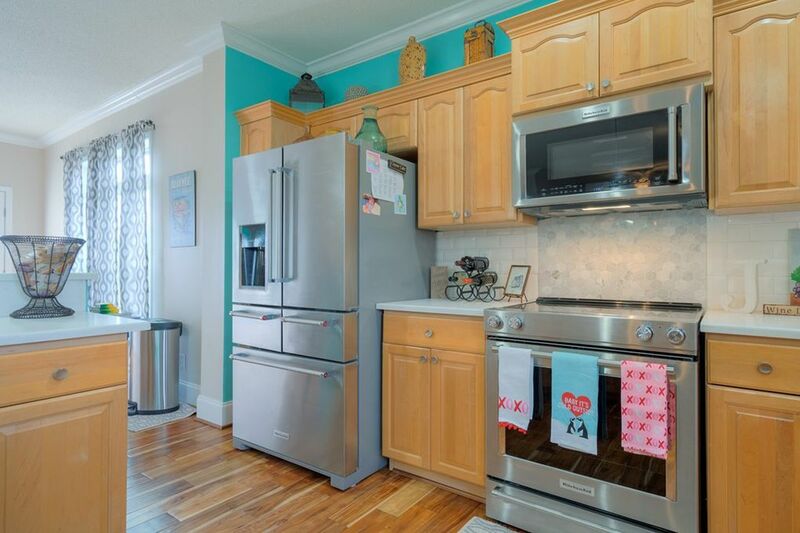 The kitchen has been remodeled with quartz countertops, new subway tile backsplash, and new stainless appliances. So much space in this home! 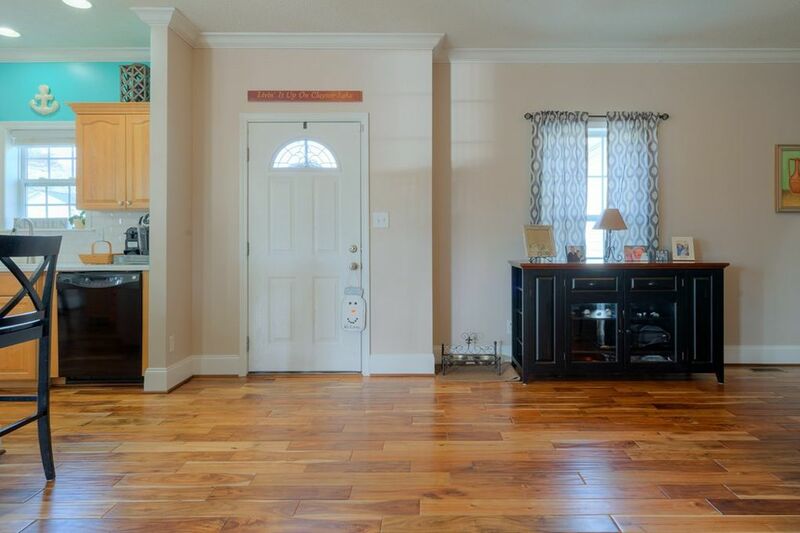 2128 finished sq ft on one level. 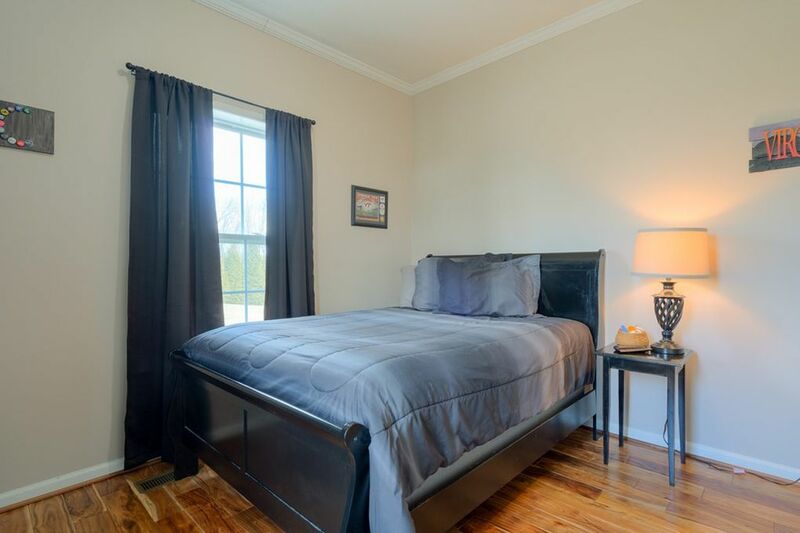 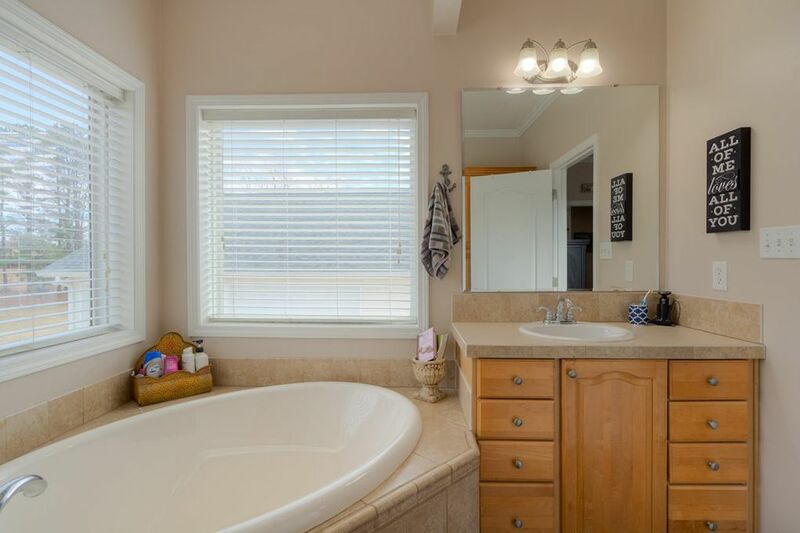 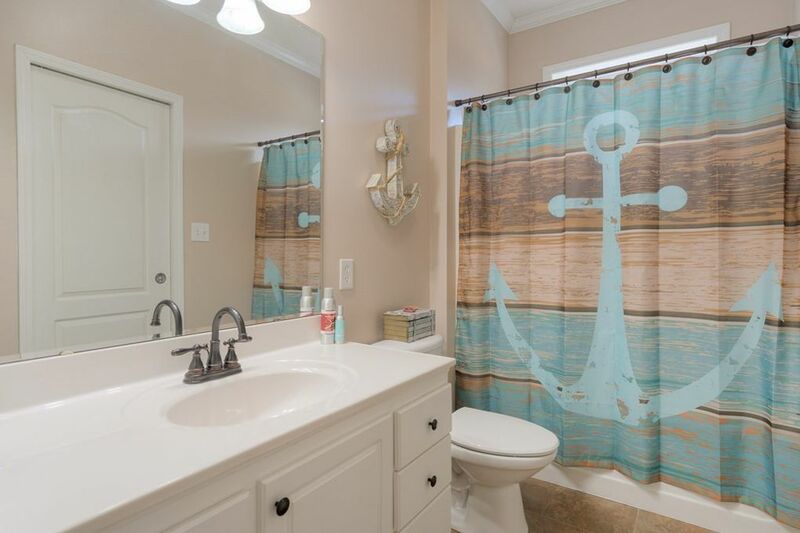 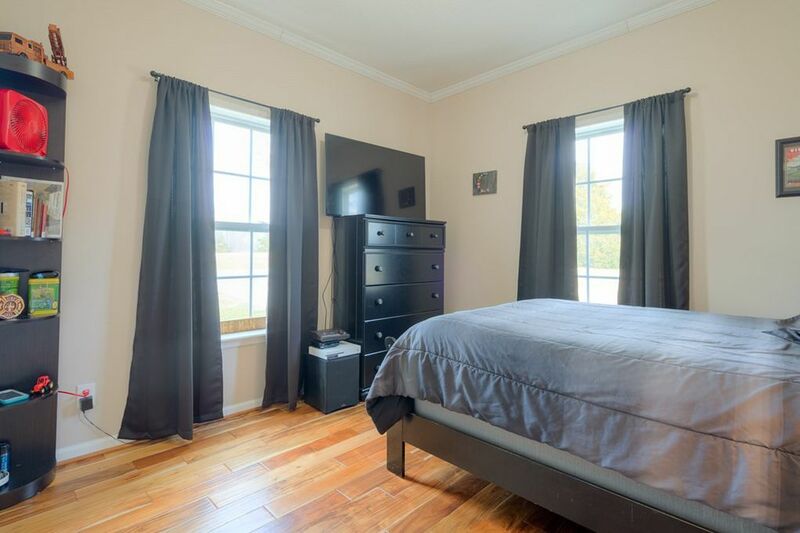 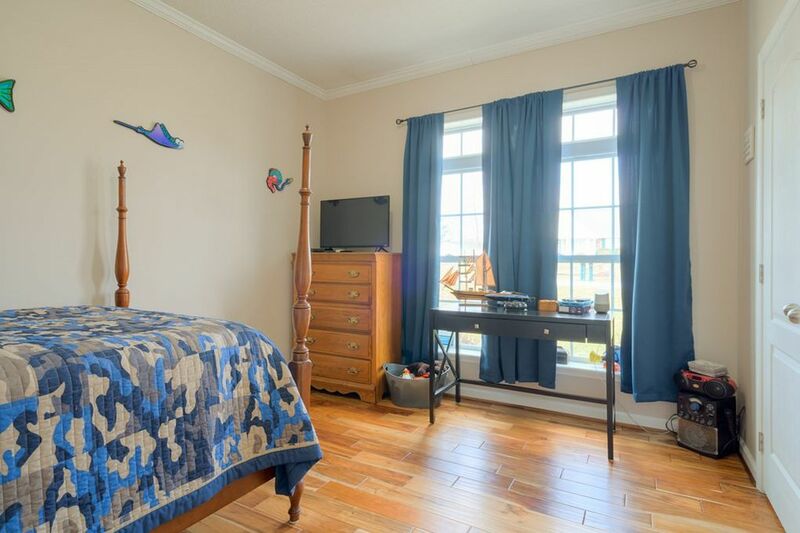 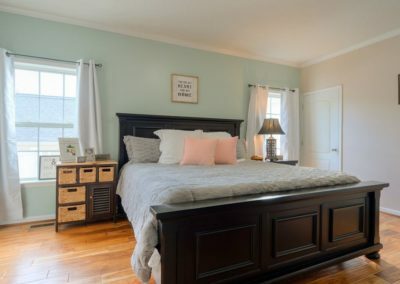 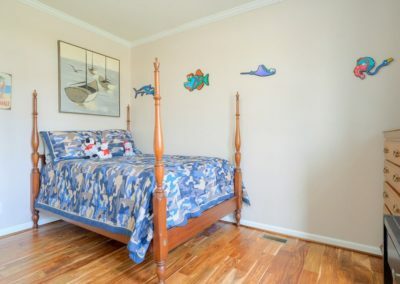 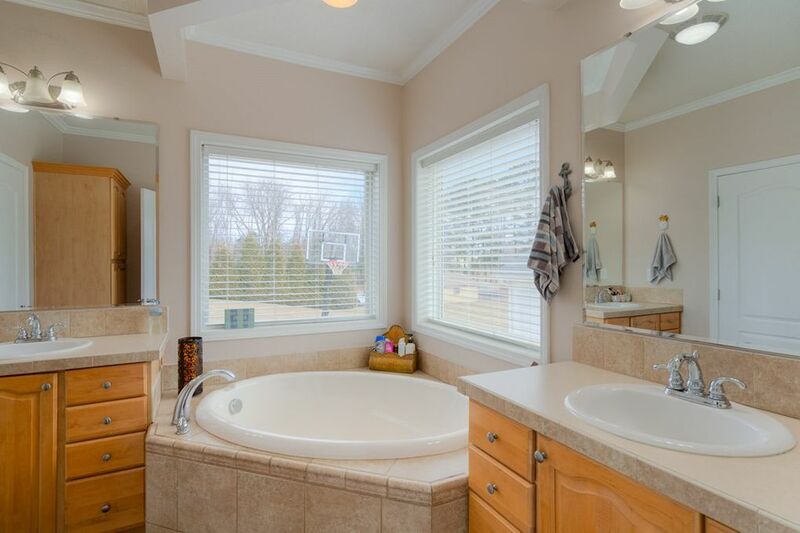 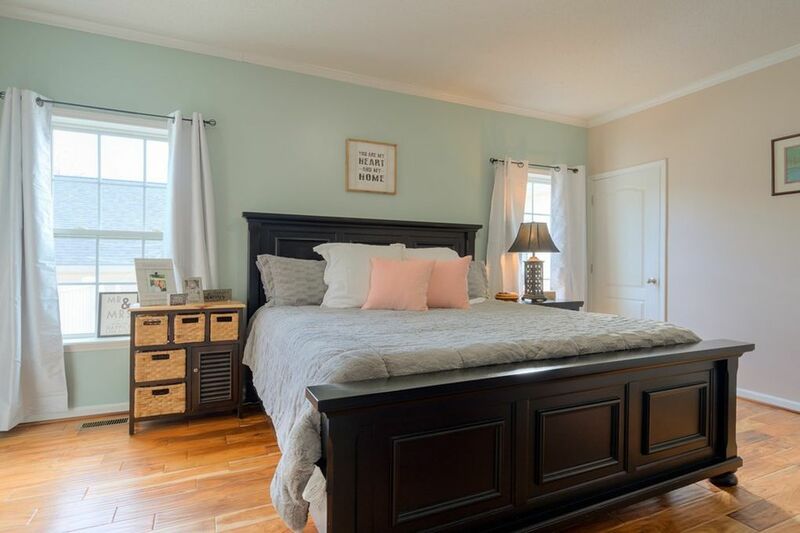 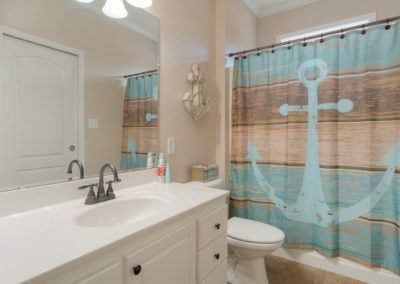 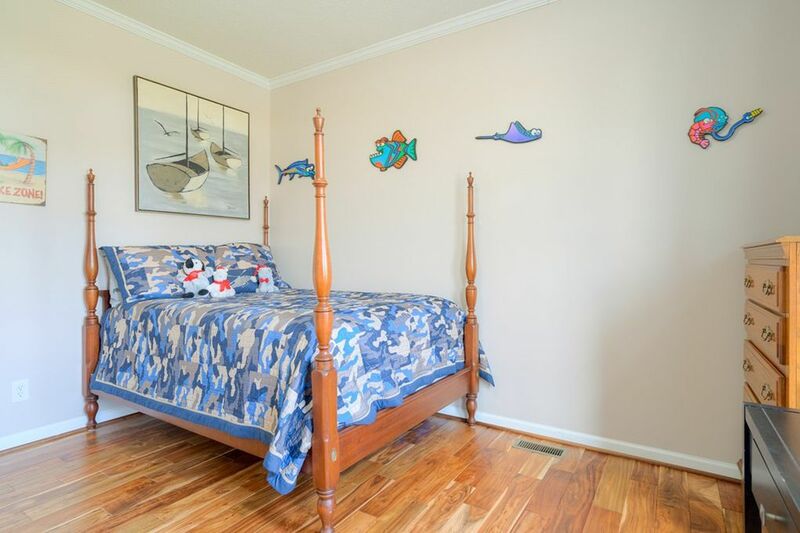 Master bedroom has an ensuite bathroom with shower, large soaking tub and double sinks. Huge office! 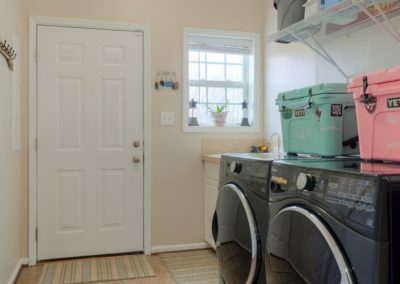 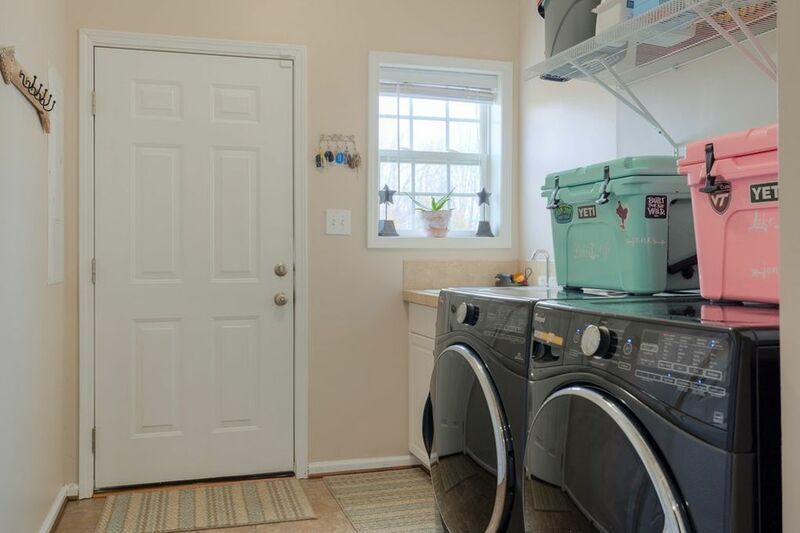 Large laundry/mud room has a utility sink. 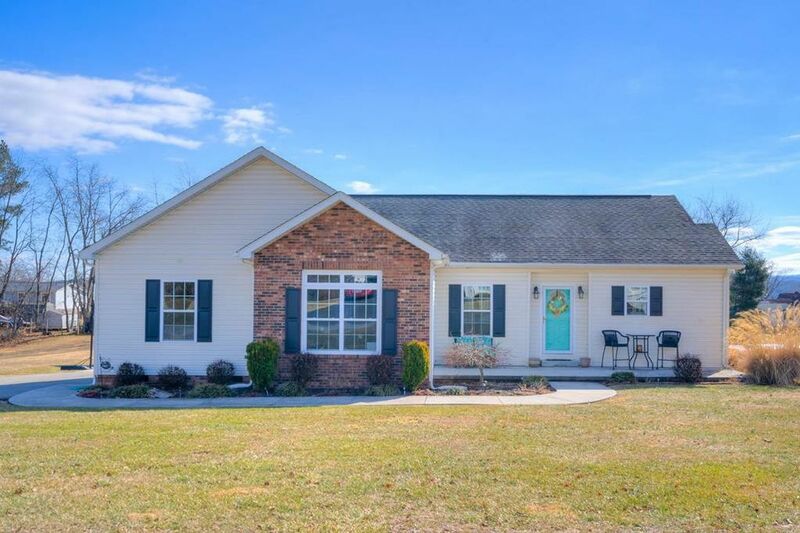 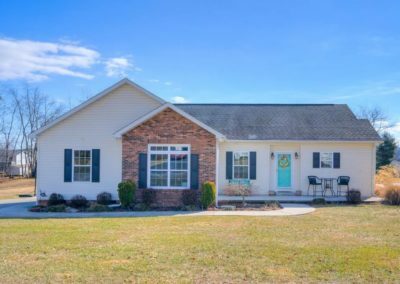 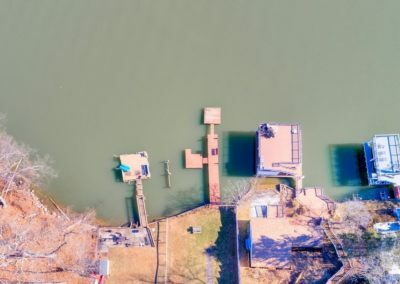 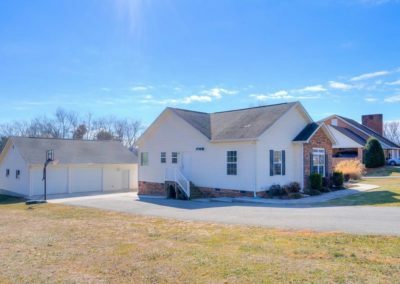 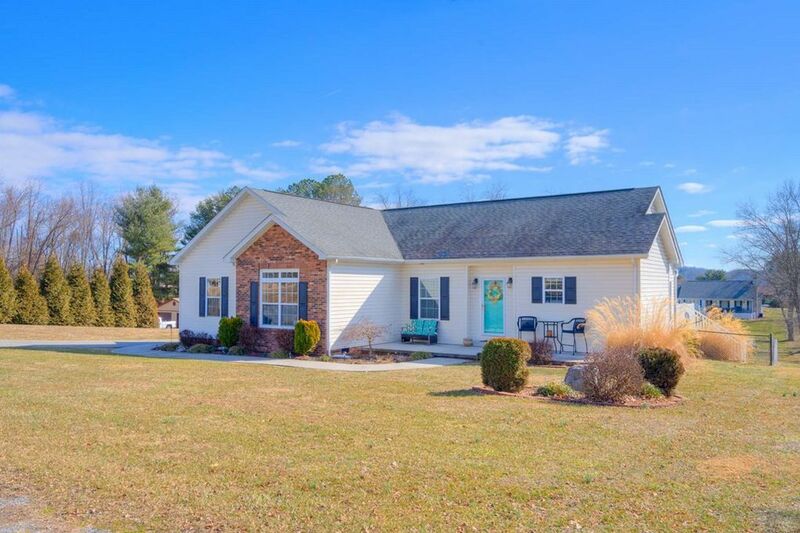 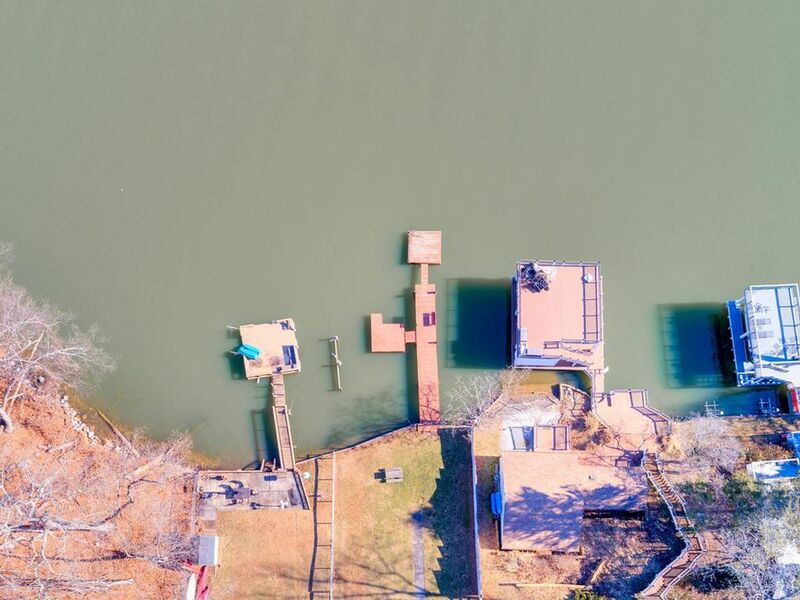 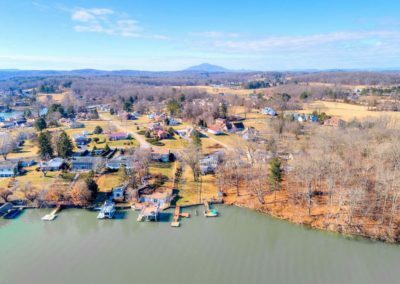 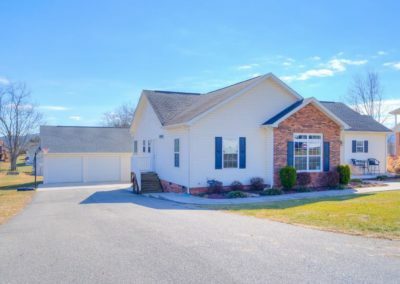 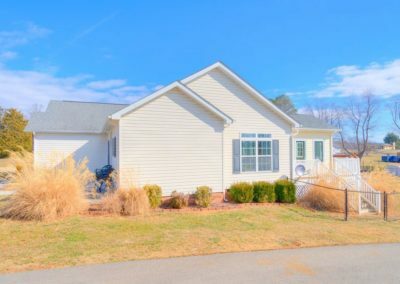 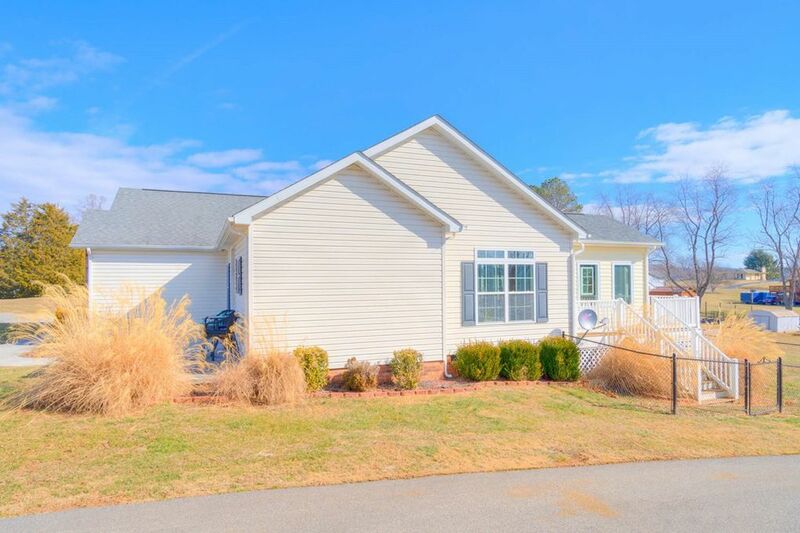 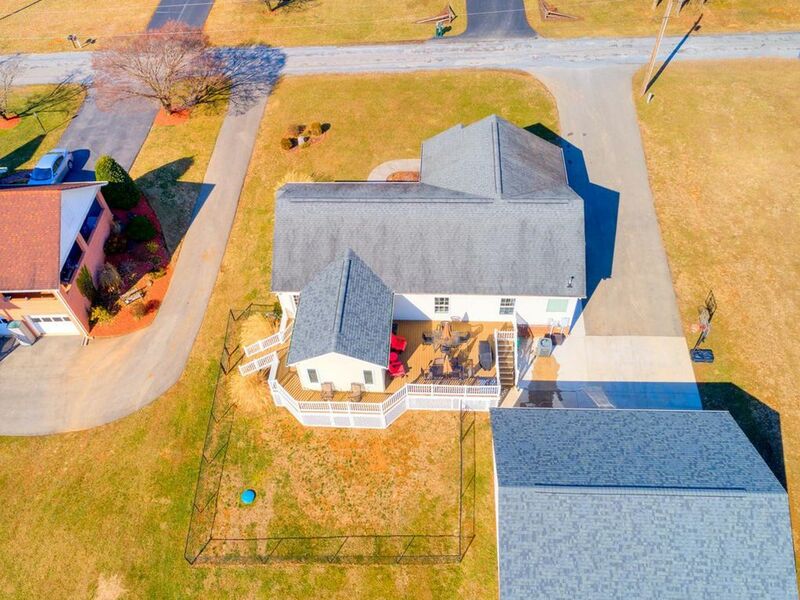 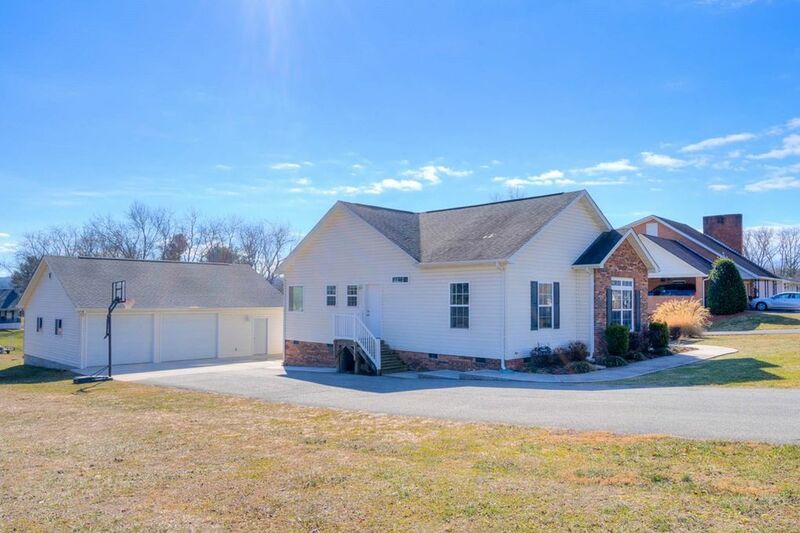 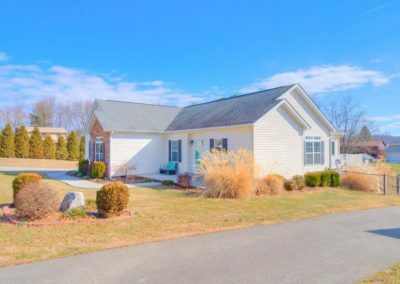 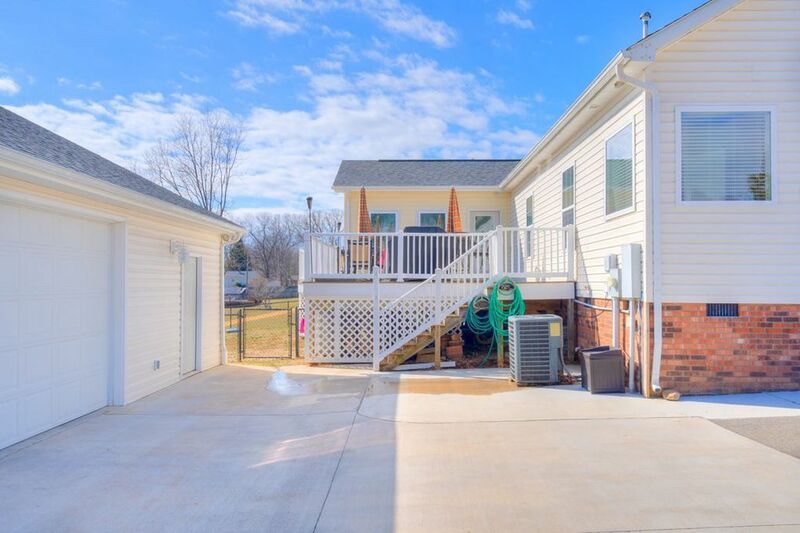 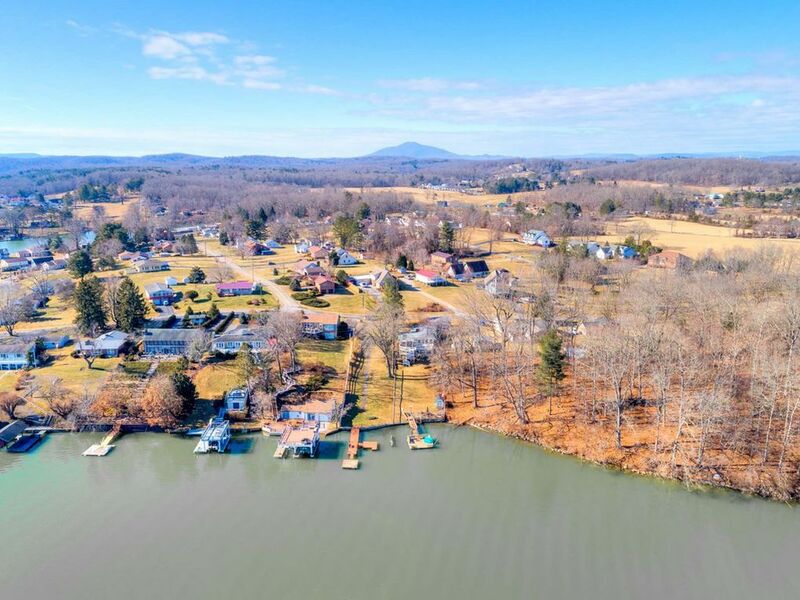 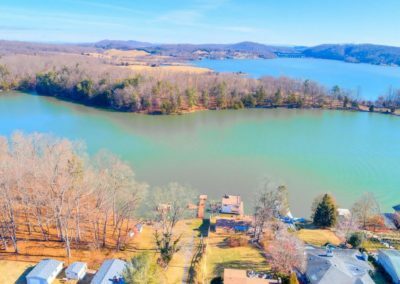 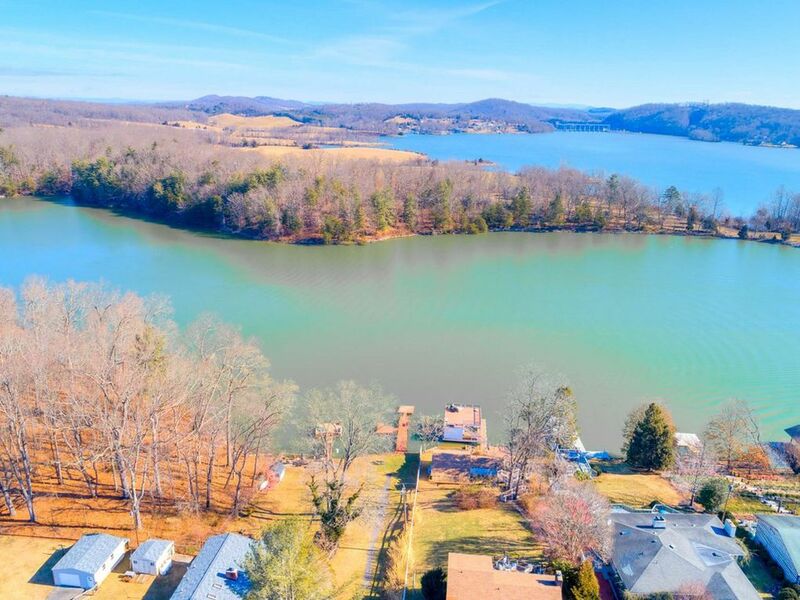 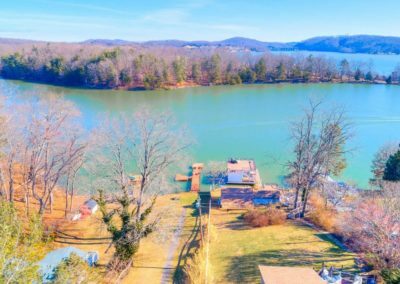 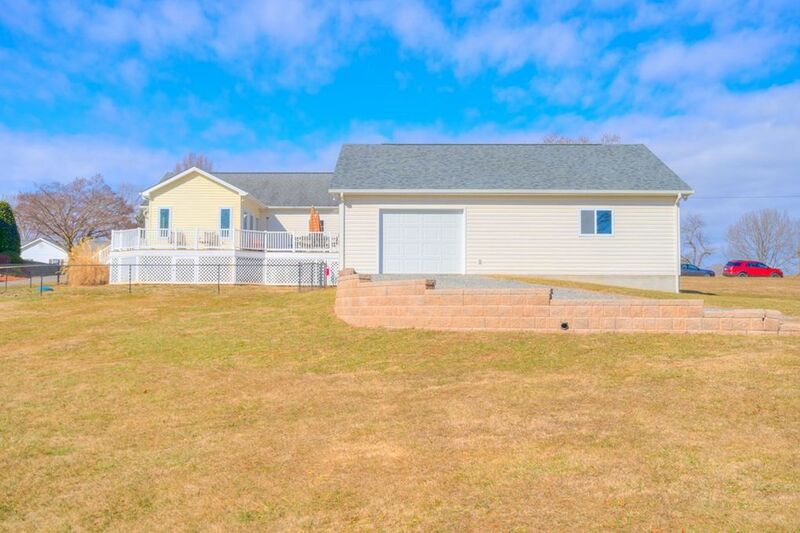 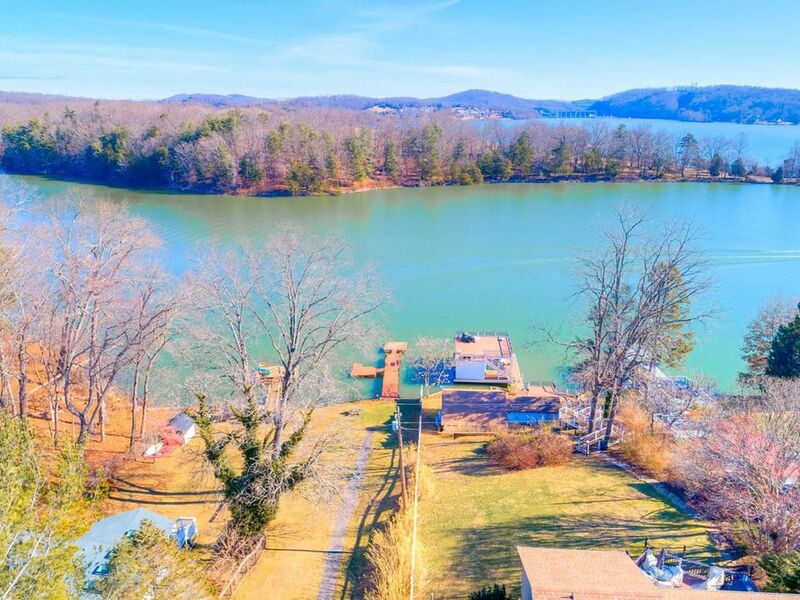 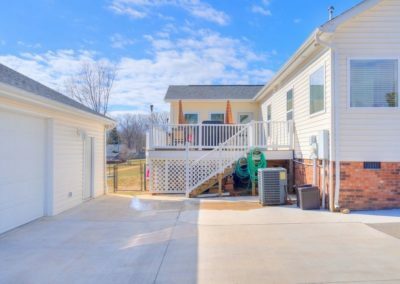 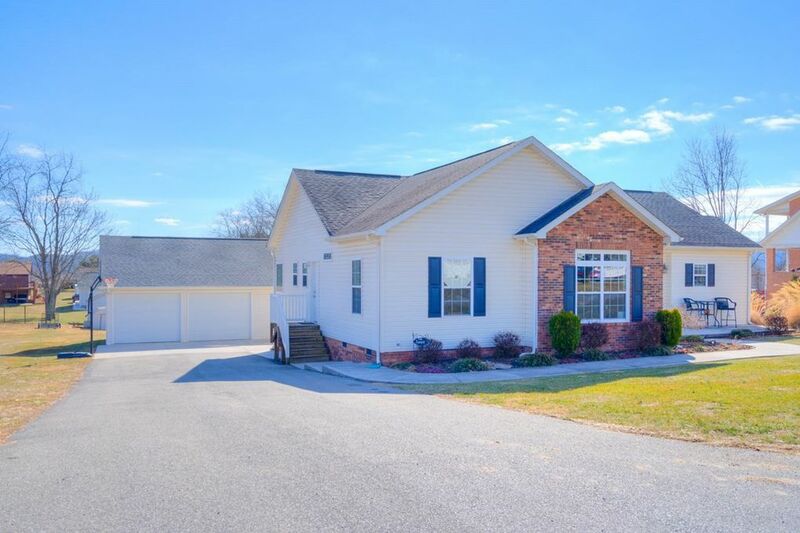 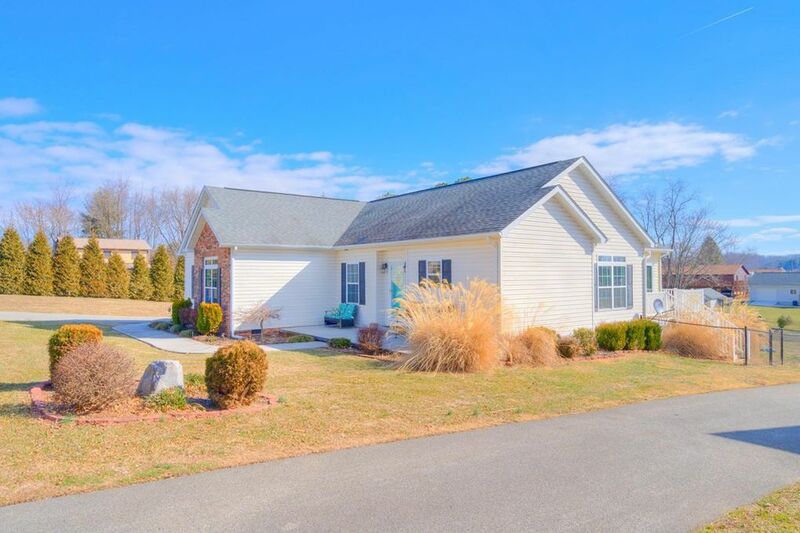 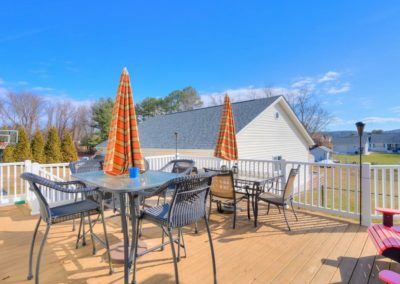 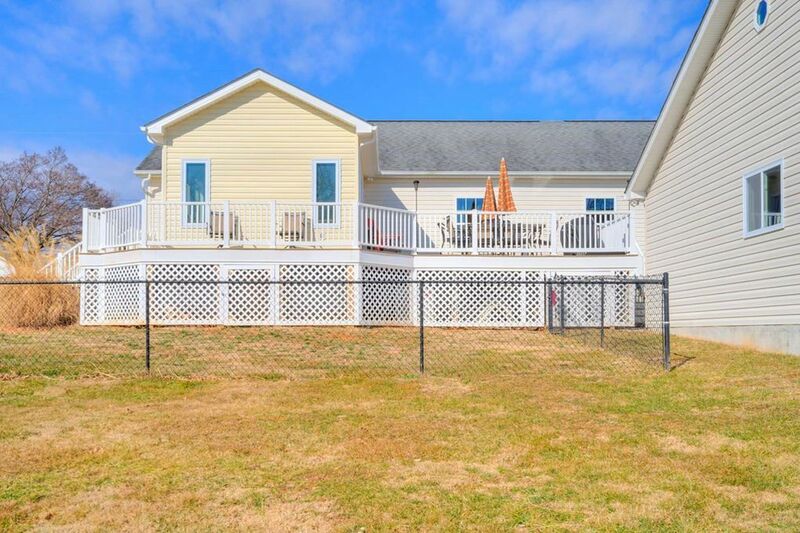 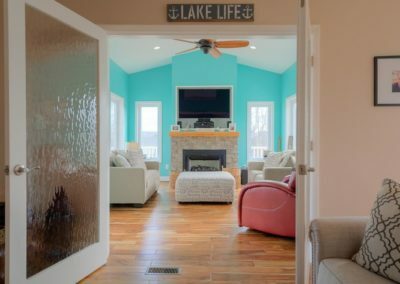 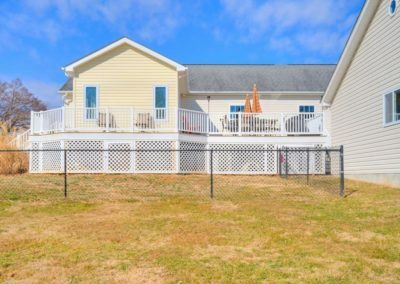 This lakefront community has two access points to Claytor Lake–a dock, perfect for swimming or fishing in one area of the lake, and also a boat ramp plus two more floating docks in another area of the community. 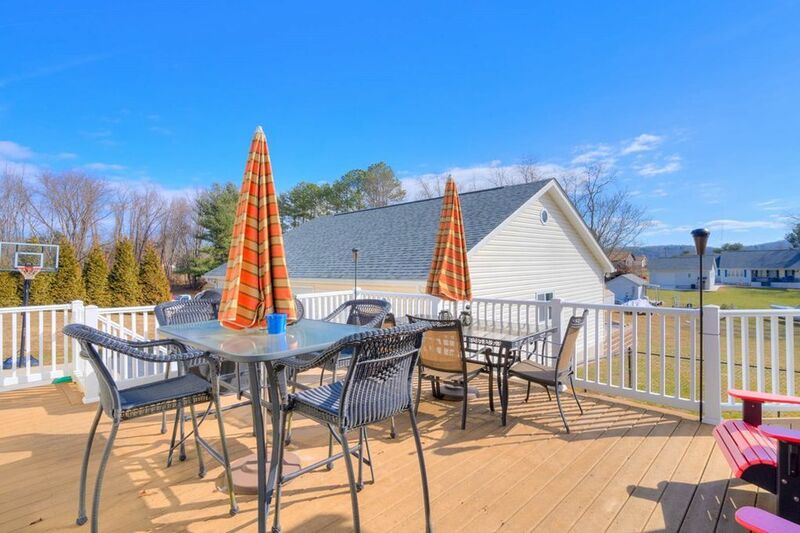 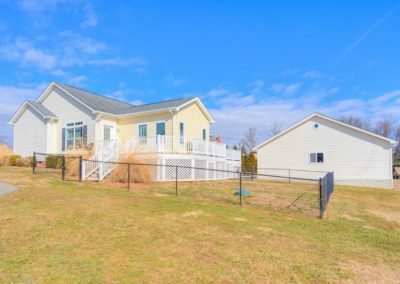 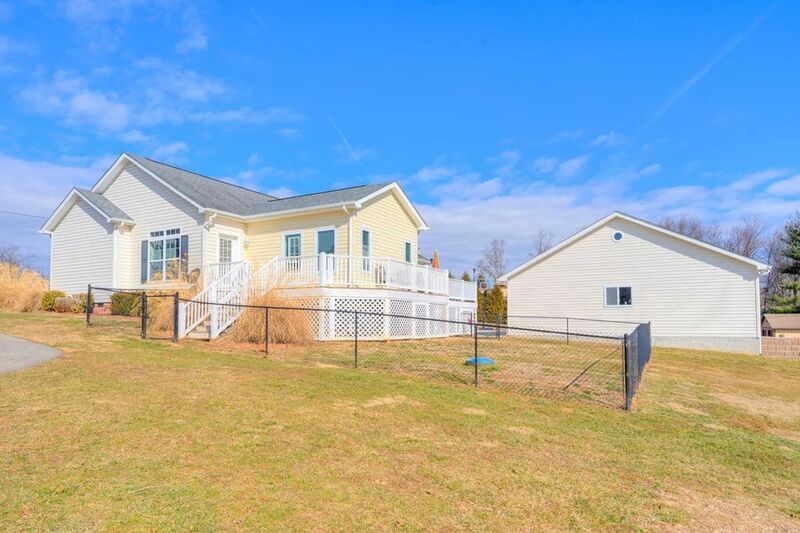 Both within walking distance of this home! 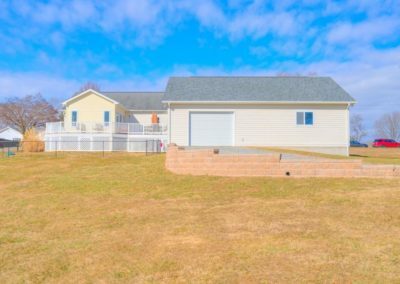 HUGE three bay garage with another entrance in the back!